During my PhD I discovered corals living in some of the most extreme conditions reported for extant coral reefs. Surprisingly these corals were living in mangrove lagoons where the water was warmer, more acidic and deoxygenated compared to the neighbouring reefs less than 0.5 km away. At these mangrove sites, temperatures are often 1-2°C higher than the reef, pH falls regularly below pH 7.5 and oxygen regularly falls below 1 mg/L. Consequently resident corals are effectively being pre-conditioned to future climate conditions. My discovery of these highly tolerant coral populations, also known as Super Corals, has challenged our understanding of what conditions some coral populations can survive under. I have dedicated my research career to study these extreme corals, to try and uncover what allows these corals to survive when reefs globally are degrading and dying due to climate change. 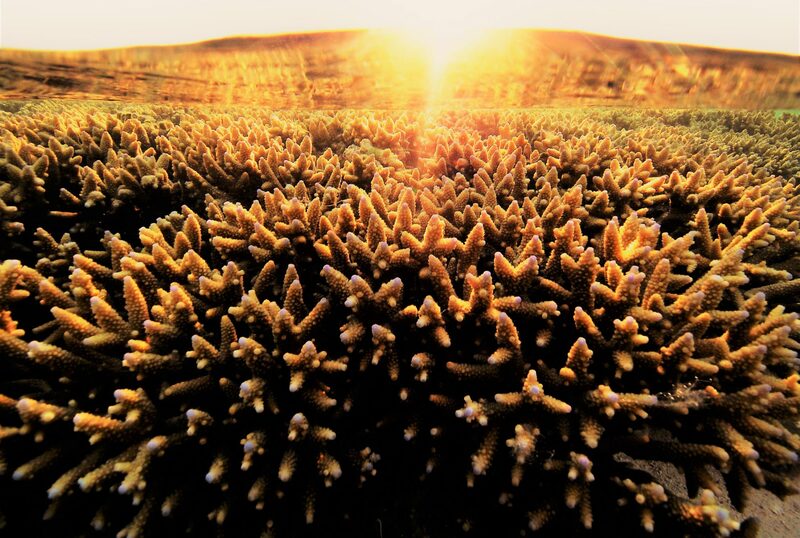 Camp EF, Schoepf V, Mumby PJ, Suggett DJ (2019) E_Book: The future of coral reefs subject to rapid climate change: Lessons from natural extreme environments. Frontiers in Marine Science. Camp EF, Schoepf V, Mumby PJ, Hardtke LA, Rodolfo-Metalpa R, Smith DJ, Suggett DJ (2018) The future of coral reefs subject to rapid climate change: Lessons from natural extreme environments. Frontiers in Marine Science. 5,4.